Learning how to meal prep can be a game changer in feeding your family. Yes, it requires some upfront time and effort, but the payoff on busy weeknights is huge—it’s easier and faster to get a healthy meal on the table, which means that you’re way more likely to serve up a healthy meal AND your whole family is more likely to eat better. And you can decide what and how much to do according to what makes the most sense for your own family. Win, win! Most Sundays, I spend a little time during afternoon nap time getting organized for the week ahead. The idea is that if you get some things ready ahead of time, making weeknight meals will be easier in the moment. This can be hugely helpful for families with little kids since 5 pm is when they typically demand a lot of attention! Some people prep full meals and others do the components. It’s really up to you and your personal preferences—and the amount of time you have available on any given weekend. 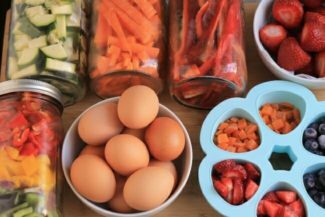 Here’s a look at the basics of meal planning and meal prepping so you can see what the process is. Plan your meals for the week so you know what you need to pick up at the store. Write them somewhere that the whole family can see it, even if it’s on a piece of paper hung on the fridge. This can help adults share the load and can help the kids know what to expect before mealtime rolls around. Take stock in the kitchen and make a grocery list to refill any essentials and to make sure you don’t forget anything you need for recipes you plan to make. Get groceries! I like to keep my produce options loose until I see what’s on sale since it’s always fun to snag good deals and get the freshest looking food. So I set meals, keep the sides and veggie options flexible, and decide that aspect at the store. If you know you need 5 veggie sides for 5 family dinners, that can make this part easy to fill in. Prep your produce and/or batch cook some grains. See below for more detail (and do as much or as little as you like!). Bonus: Make any homemade snacks or breakfasts for the week, like a batch of muffins or granola. This can help those other times of the day run more smoothly too. Do I have to spend all weekend prepping meals? Absolutely not! You can do as much or as little as you like and pick and choose what you like to focus on. For me, cleaning and chopping the produce we’ll eat for dinners is where I devote my time because I find that makes it so much easier to pull a meal together at the end of the day. (Only once in my life have I made full meals ahead of time even though I know a lot of other people meal prep that way.) 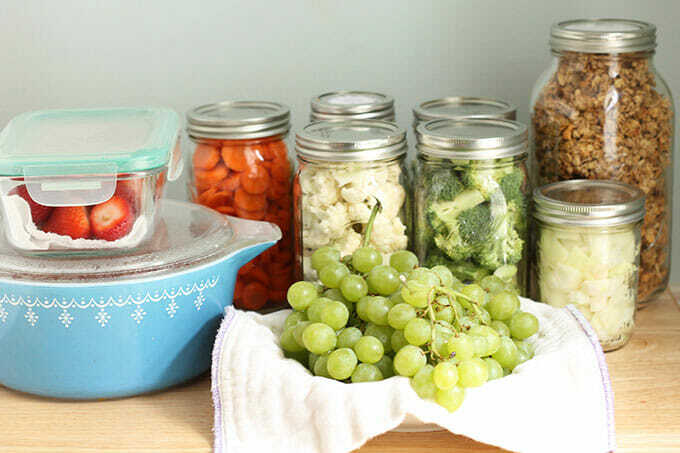 I’m including my best tips for meal planning and prepping below so you can find a few tips that work best for you. Here are some ideas for how to meal prep so you can see what sounds doable. Knowing what you’re going to have each night is such a comfort because it saves mental energy at the end of the day. We know what needs to be done to make the meal come together and it helps to ensure that all of the food we bought at the grocery store is put to good use. Even if you don’t want to get into the nitty gritty of exactly what you’ll be having each night—though you certainly can have specific recipes ready if that helps you!—planning out which night will use that chicken breast you bought, say, can be really helpful. I typically write out meals like “pasta”, “stir fry”, and such so I broadly know what’s in store. If you’re looking for a way to make planning meals easier, consider working in a few regular themes each week. We do Mexican on Tuesday nights, pizza on Fridays, and pasta most Sundays. These anchor my week and make it much easier to decide what’s for dinner since there are parameters already in place. You could also have taco night, soup night, sandwich night, leftover night, kid’s choice…the options are endless! This is a nice way to ensure that the kids will be exposed to a variety of flavors throughout the day. I like to clean blueberries, strawberries (stems removed, otherwise uncut), and grapes and place them into airtight containers lined with paper towels or thin cotton kitchen towels to ensure they stay fresh for about 3 days. This helps to absorb any excess moisture and it allows for quick and easy snacks or dinner sides without any prep in the moment. (My oldest can then also just help herself to a snack or appetizer whenever she needs it.) You can store chopped pineapple or mango in containers without a liner since you want them to be juicy. Avoid doing this with fruit that browns like apples, pears, or bananas. Rather than setting up the huge task of actually cooking full meals ahead of time, I love to just prep my produce. 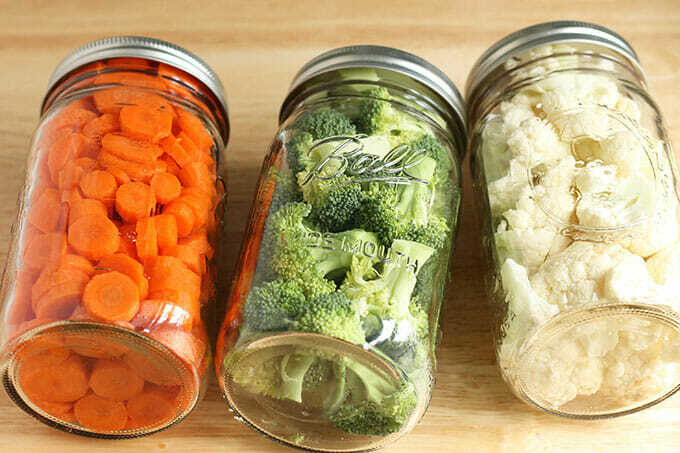 This means washing, drying, and chopping the veggies we’ll be eating all week and storing them in airtight containers. I typically use quart-size mason jars. If everything is very dry, the veggies should last for 3-5 days. This works well for broccoli, cauliflower, carrots, celery, onions, green beans, and bell peppers. Avoid prepping any veggies that brown when cut like potatoes and sweet potatoes. Then, when it’s time to cook dinner, you can simply dump a jar into a pot, roasting pan, or skillet. It’s so easy! And it’s such a good way to avoid wasting produce—because everything has a purpose! If you really want to get ahead, try making one whole meal ahead of time. I typically do this for our Thursday dinners since that’s the night that my oldest has tumbling and we eat in shifts. Some great recipes for this are Spinach and Cheese Pizza Rolls, Hidden-Veggie Meatballs, Broccoli Tots, and Slow Cooker Beef Burritos. 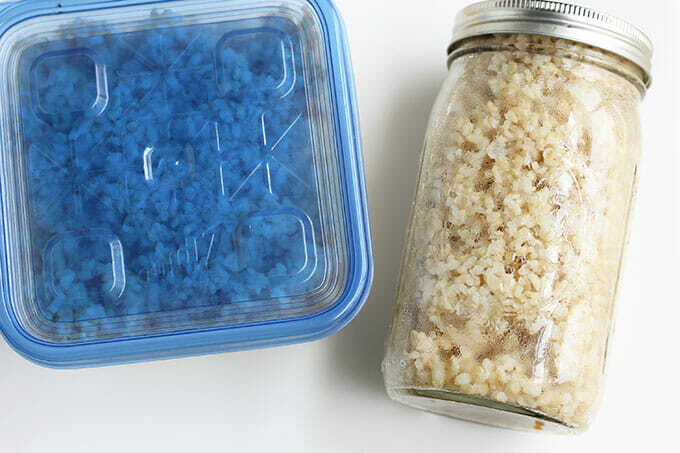 The next time you make rice or quinoa, make a double batch. Let it cool fully and store the second meal’s worth in an airtight container in the freezer for a future meal. (I use the 4 cup square containers from Ziploc.) Pull it out in the morning and let it thaw, then simply reheat to serve. So easy! 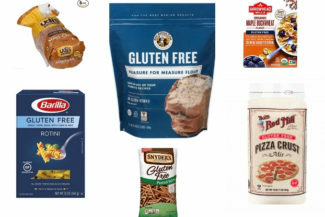 This works equally well for soup, chili, marinara sauce, beans, bread, muffins, and pizza dough. If you pack your lunch or your kid’s lunches, consider what you and they like to eat when planning and cooking meals—and make enough if leftovers would be useful for lunches! Whenever I make pasta, I always make more than enough since everyone in my house who needs a packed lunch will happily eat it, and then I have less work to do! There will always be something that comes up, so remember that none of this is set in stone. The more you can make a few of these things a habit, the easier all of this will be, but know that it’s 100% okay to adjust! Serve leftovers instead of cooking if you wind up with more than you expect. Make sandwiches one night if you’re exhausted and save the planned meal for the following night. Swap the plan for Tuesday and Wednesday if everyone is craving the next day’s menu, change around veggies, etc. There are no real rules here, so remember that you can change your mind if you want to! Use this list to print the tips and keep them on hand for easy referencing! 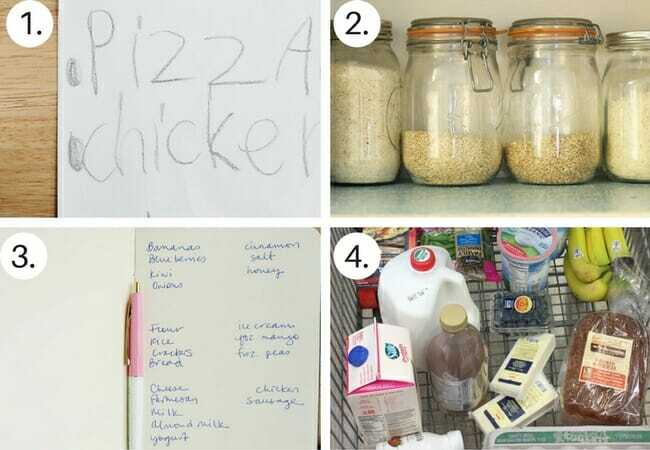 Even if you don’t want to get into the nitty gritty of exactly what you’ll be having each night, planning out which night will use that chicken breast you bought, say, can be really helpful. If you’re looking for a way to make planning meals easier, consider working in a few regular themes each week. We do Mexican on Tuesday nights, pizza on Fridays, and pasta most Sundays. Line airtight containers with paper towels or thin kitchen towels to store washed blueberries, de-stemmed strawberries, or grapes. Wash, throughly dry, and chop the veggies you’ll be eating all week. 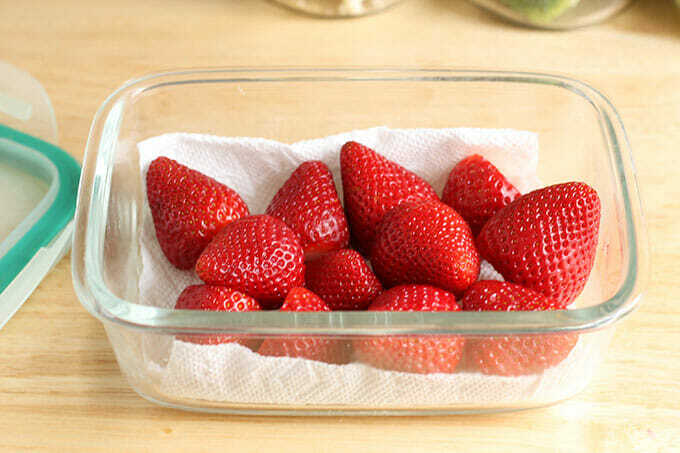 Store them in airtight containers so you can simply dump them into a pan when ready to cook. If you really want to get ahead, try making one whole meal ahead of time. If you have frozen meat that you plan to use for cooking, be sure to thaw it in the fridge to ensure it’s ready to cook when you are. If you pack your lunch or your kid’s lunches, consider what you and they like to eat when planning and cooking meals—and make enough if leftovers would be useful for lunches! There are no real rules here, so remember that you can change your mind if you want to and do as much or as little as you want to or have time to do! Do you guys meal prep? I’d love to hear your tips in the comments! 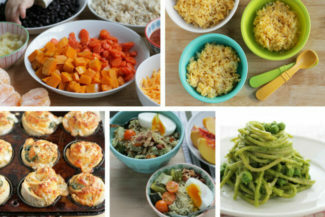 In one of the pictures at the top it looks like you have squash precut…. Will it brown like sweet potato? Thx! This sounds like a great idea but I have a few questions. 1) From your experience, what veggies other than sweet potato can you not precut? 2) Do you dry the vegetables after you cut them also? Because sometimes they are moist. I would avoid doing this with any potatoes, tomatoes, eggplant, avocado, mushrooms, or anything that’s super ripe and needs to be cooked immediately. If something seems moist, yes, dry it. You can also line containers with a thin towel or paper towels to help absorb any excess moisture!